Amir Rajput Events & Catering is one of the leading events and catering companies in Pakistan with over 20-years of experience in event management, wedding functions and highest quality catering services. Our reputation and success has been built over these years by providing our valued customers with spectacular events which are full of innovations and offer the latest themes along with the finest quality of catering cuisines prepared by our experienced chefs in hygienic kitchens. We offer our own Marquees and are also affiliated with with all landmark venue locations across Pakistan. Choose from various menus comprised of delicious Traditional, Royal-Mughlai & Pan-Asian cuisines with breathtaking stage décor designed with beauty and elegance. Fully equipped with the latest technologies, wooden and acrylic walkways and other exciting options to suite your taste. Today, Amir Rajput Group is one of the most respected and trusted names in Pakistan for events and catering. We are proud to be listed among international organizations and to have TQCSI and JAS-ANZ certifications for our quality standards and service reliability. Amir Rajput Group is one of the only nationwide Events and Catering Company’s in Pakistan, having presence in Karachi, Lahore, Islamabad, Multan Gujranwala & Hyderabad. 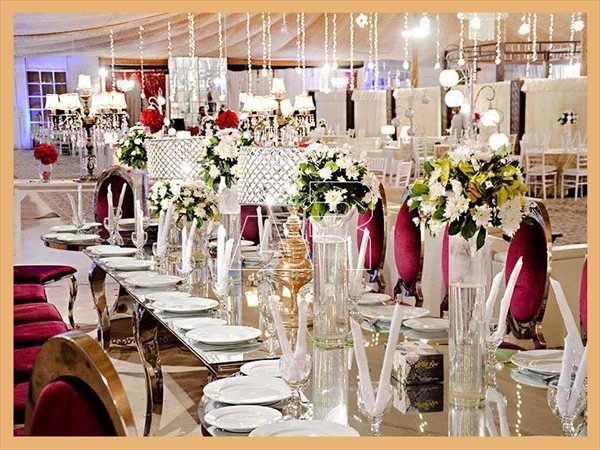 Over the years, Amir Rajput Signature Events & Catering has gained the Highest Reputation for Reliability and Quality of its Services and for this we continue to win numerous Awards and Recognitions every year. What to Expect: A professional and reliable catering and event planning company that has high quality cuisine and upscale decor for any event.